Not sure how I feel about this... nitpicking, but purple mutagen? And it's clear the '87 cartoon is the only source material they care about. Though not in a loving, faithful way, either... These movies, like Transformers before them, are all about drawing in audiences based on a fond but vague familiarity. They're not trying to please fans on any level - they just want an audience with low demands/expectations who remember liking the franchise when they were kids. That's it. Pay a little lip-service to their nostalgia and then make the usual by-the-numbers Michael Bay CGI action/explosion-fest within that basic framework. Again and again. It's a really cynical way to make a movie like this, but it's paid off for them. I'm not a stickler for for actors looking exactly like the characters they play. I could care less if Megan Fox has red hair or if she wears yellow - it's not like those things are important to the character in fact the latter I prefer she didn't. 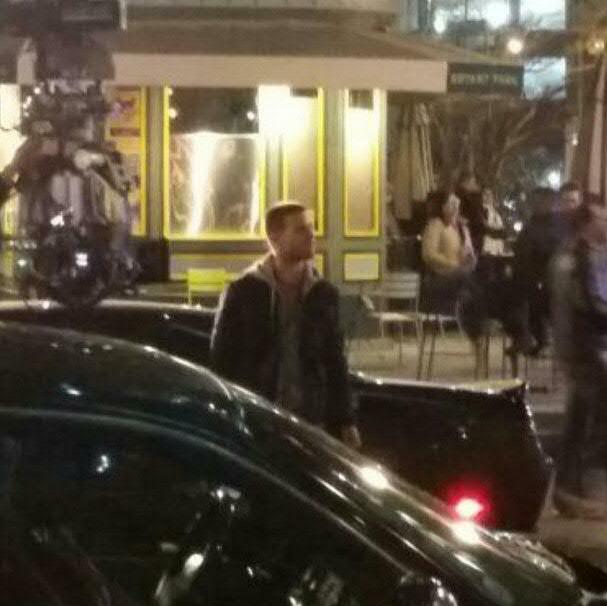 However it doesn't look like they are doing anything to make Steve Amell look like Casey. It's not like Casey needs longer hair but I would have assumed they'd try and do something then again given how bad the wigs are in the flashbacks of Arrow maybe it's for the best but it really looks like Steve Amell playing Steve Amell. It might not be mutagen, it could be anything. Didn't we go through this last time? William Fichtner may not be Shredder, he could be playing anything. Those bug things on the motion capture suits may not be eye line guides, they could be anything. That script may not be real, it could be anything. Obviously we can't definitively know for a fact but we know enough to make an informed decision. Again it's not a huge deal the mutagen is purple, while the iconic colour is green it has been depicted as different colours including purple but small things do add up. 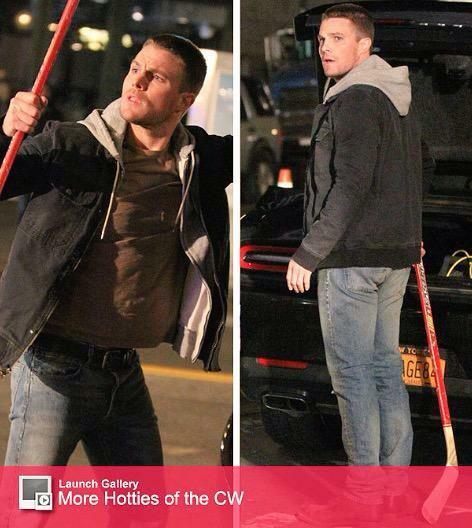 I do think Amell looks like Casey when he has his hood up. Something about the smirk. When mutagen has been green in every incarnation of the franchise EXCEPT the OT, I feel justified in adding this to my list of complaints about PD's treatment of TMNT. It IS Michael Bay so they will probably just CGI some long hair on him. he looks 2 much like oliver queen.. they should have changed it up a bit. 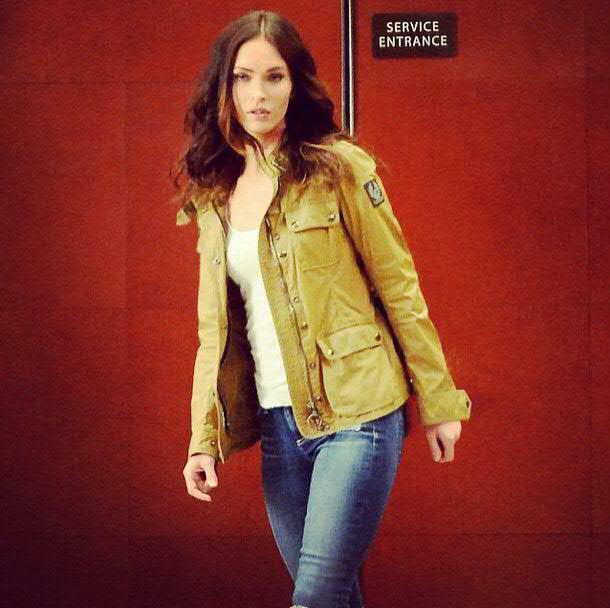 if not the hair then at least the clothes or something.. great pics of megan tho.. If that really is mutagen, why is she running down the street with it? No no...it's a Kraang power cell. Filmed the end first, April saved the day, the end. Or they just handed her a large glow stick to distract her and told her to go play in traffic. Still kind of dumb to run around in the street, maybe even dumber. Break that thing and boom, good bye New York and New England. If you steal something from the bad guys and they go after you, you run. Seems smart to me. So is the title TMNT II or Half Shell? I think Half Shell is just the working title. Half Shell is the 'working' title. Basically a fake name for the production. That's cool, I bet he was taking on some thugs. I asssuming he sees April in trouble, maybe she's getting chased by someone or something and goes after her to help.